This book came highly recommended by a good friend of mine, and I finally got around to reading it. I tend to not read as many parenting or advice books, mostly because I tend to believe them all! For some reason, it is really hard for me to stay objective when I'm reading this type of book. Do you have that problem? 4 stars: Gave me some practical, useful ideas that so far have helped! 1. 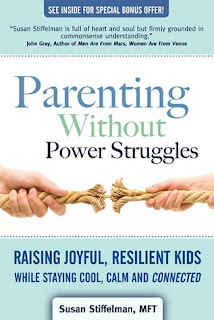 If you're having lots of power struggles with your child, first check to see how your attachment with them is. She mentions several things that help make a secure parent-child attachment, including proximity (just being close to them), sameness (shared interests), loyalty (defending them or being on their side), significance (what's important to them becomes important to you), love, and understanding. If your attachment is weak or insecure, that will often manifest into tantrums for younger kids or just resentment and anger for older kids. 2. As the parent, you are the Captain of the Ship. Your job is stay calm through the storm! You are in charge, not them. When you're telling them to do something, speak with authority and don't make it a question. Stay calm and stay kind no matter what. Also, keep a lookout for what is causing the power struggle in the first place. Instead of coming at your child, try to understand it from their point of view and "come alongside them." 3. She talked about helping your child accept it when things don't go their way. They have to go through the stages of grief to some extent, to get to the acceptance part, and it is critical that they learn to adapt to changing or unpleasant circumstances. Here's what I loved: when they don't like what you've said or are mad about it, walk them to the "Wall of Futility." Don't give in. Don't bargain. Calmly repeat your statement as needed. Don't try to punish them for their sadness or frustration. Also, now is not the time for explaining why (again). Just acknowledge their feelings: "I can tell you're frustrated by our change of plans. That must be hard." Sympathize--let them cry about it if they need to. Once they are at the Wall of Futility, they'll realize that this is not going to change, and once they are done feeling all the feelings, they'll accept it and move on. After that is the point in which explanations or talking about it more could be helpful--for next time. One of my children tries to push and push for things they want, then gets very frustrated--to varying degrees--when the answer is no. So I tried this the other day and it worked surprisingly well! I said "I can see you're pretty mad about this. I'm sorry," and "It's hard to not get what you want, isn't it?" a couple of times, while otherwise cheerfully going about my own tasks. I also had to repeat my "no" a couple of times as well--calmly. After about 10 minutes, this particular child of mine let it drop and was completely fine, where often times it spirals and spirals between the two of us. Success!! 4. Don't be Mom TV! She brought out how often-times a child who is trying to get out of something will start pushing your buttons, just to get a reaction and distract from themselves--in other words, they turn on Mom TV. Don't fall for it! Calmly stay on course and bring it back around to the real issue at hand. There was a lot more, of course, but those were what I remember best. I'm glad I read it. I feel like it has given me a few different approaches to try when things get stormy around here. So talk to me! 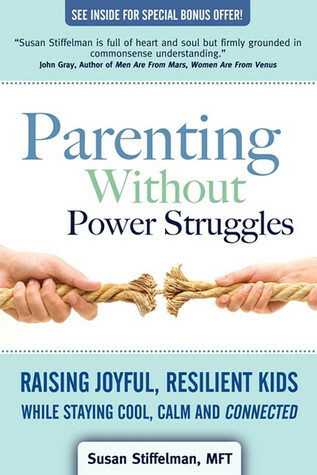 Do you have any tips for handling strong-willed kids?